Recently, we've launched a campaign that aims to increase awareness around the use and importance of defibrillators. It's a damning fact that over 7 million people die each year as a result of a Sudden Cardiac Arrest (SCA). Did you know that with every minute that passes before emergency medical care takes place, the sufferers chance of survival diminishes by 7-10%? When a defibrillator is used it can increase the chance of survival by an astonishing 74%. 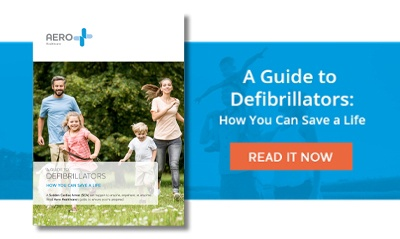 Part of our campaign to promote these products has involved our newly developed informative guide, titled: "Defibrillators - how you can save a life." If you are a distributor of our products there are options for you to use this guide in your marketing and we can support your sales in other ways too. Please get in touch to find out more.